The CT 224 is quite a slim satellite - subwoofer system, also called Challenge MK III Sat / Sub by Monacor. This system is suitable for smaller rooms and consists of Monacor / Number One drivers. The system comprises a small satellite containing the reasonably priced but excellent 25 mm DT-25N fabric dome tweeter and the full range driver SPH-30X/8 with kevlar diaphragm. 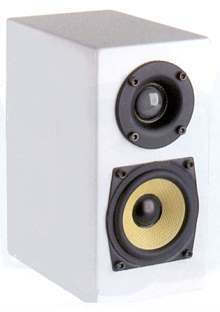 The subwoofers uses two Monacor SPP-110/8 bass drivers. In the original version the shielded SPP-110/8S bass driver has been used, but it's no longer available. 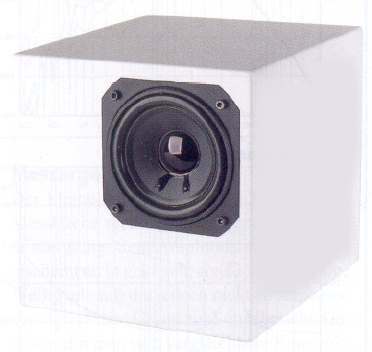 The subwoofer is passive with a built-in crossover between subwoofer and satellite. Therefore, the amp and the satellites may be connected to the 8 terminals of the subwoofer. If you prefer the kit to come with higher quality components we'll gladly offer suggestions. However, the modification with the most noticeable improvement is placing a 15 uF MKP capacitor in parallel to 220 uF capacitor of the subwoofer. Without this additional capacitor the entire frequency range will be reproduced by the satellite using an etched ELCO. This will negatively affect transparency and precision.